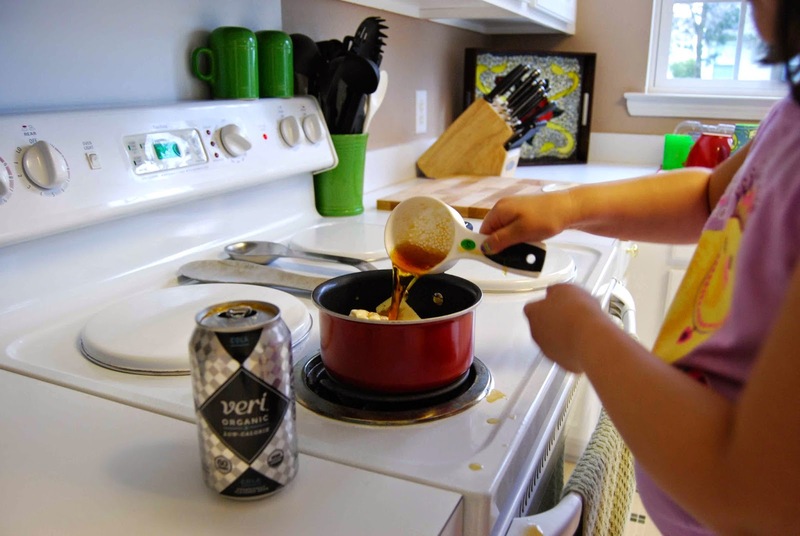 Recently, I had the opportunity to sample and review Veri Soda for Moms Meet. We're not super huge soda drinkers, but it is nice for an occasional treat. Plus, I will admit that I almost ALWAYS want Sprite when my throat is scratchy. 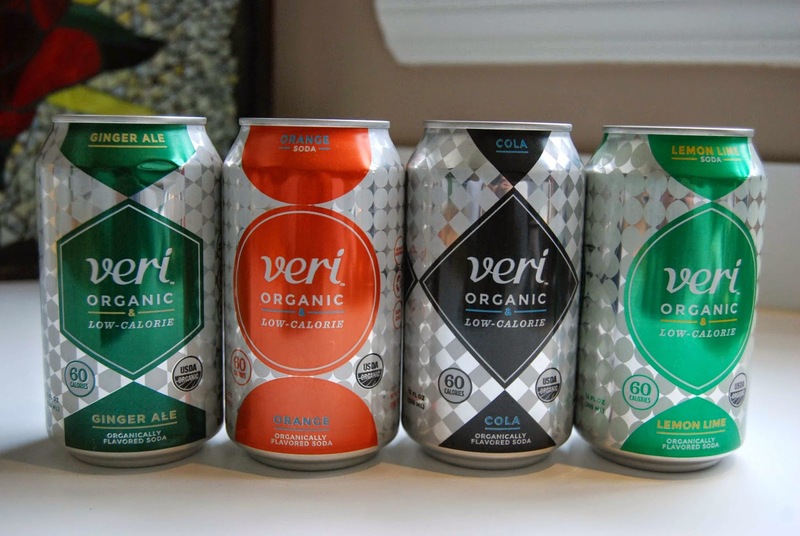 When we (Hubs and I) taste-tested Veri Soda straight from the can, we were really, really pleasantly surprised! Veri Soda tasted good! It was sweet (but not too sweet). It didn't taste artificial, it didn't taste too much like plain seltzer water and it didn't have a funny after-taste (like so many low-calorie, better-for-you sodas do). Hubby tried orange and I tried lemon lime. Both were very good- refreshing, even! I like that Veri Soda is naturally sweetened and uses real juice in it's ingredients. Plus, with only 60 calories ad can and no caffeine, it's not terrible as an occasional indulgence every once in a while. 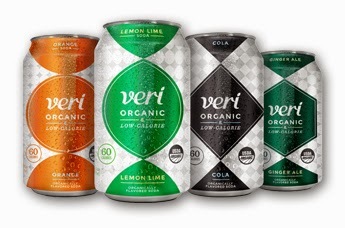 Here's a little more information about Veri Soda, from their website, "The team at Veri is committed to crafting the world’s finest organic, low-calorie, soft drinks. They spent years crafting a line of soda that is made with the best organic ingredients, and is low in calories but also tastes like the real deal- how soda used to taste back in the good old days. Veri Soda has no harsh sweetness or overpowering carbonation; just delicious refreshing taste, and with only 60 calories per can and no artificial ingredients, it is a soda the whole family can enjoy. Try Veri Cola, Orange, Ginger Ale, or Lemon Lime." 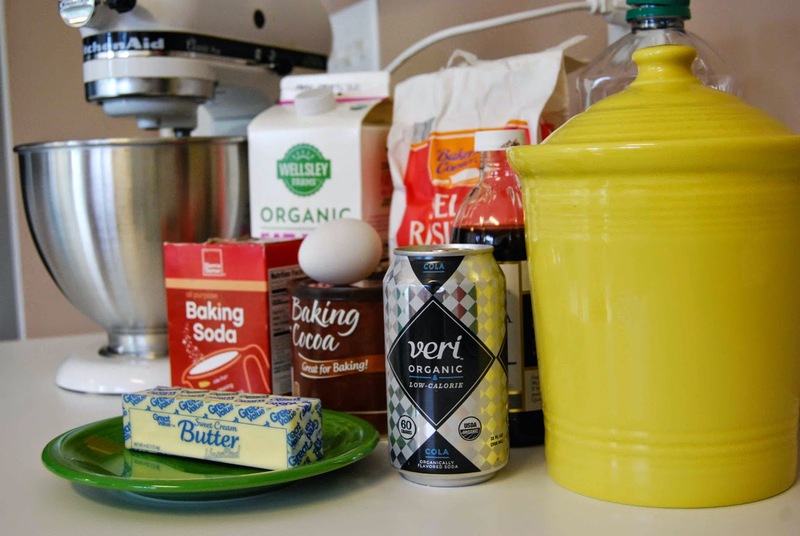 As part of our review, we were asked to get "Veri Creative" and come up with a creative recipe that included Veri Soda. 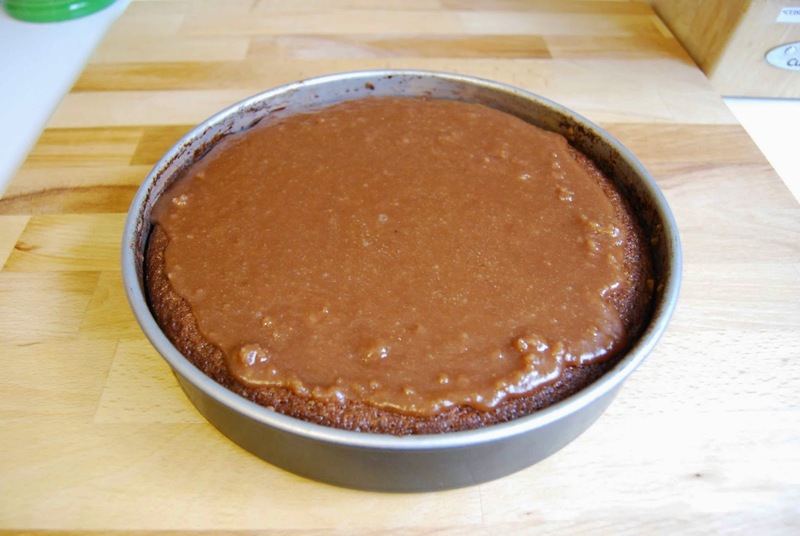 So, being in the South, I decided to do a tried and true Soda Pop Cake (otherwise known as Coca-Cola Cake). 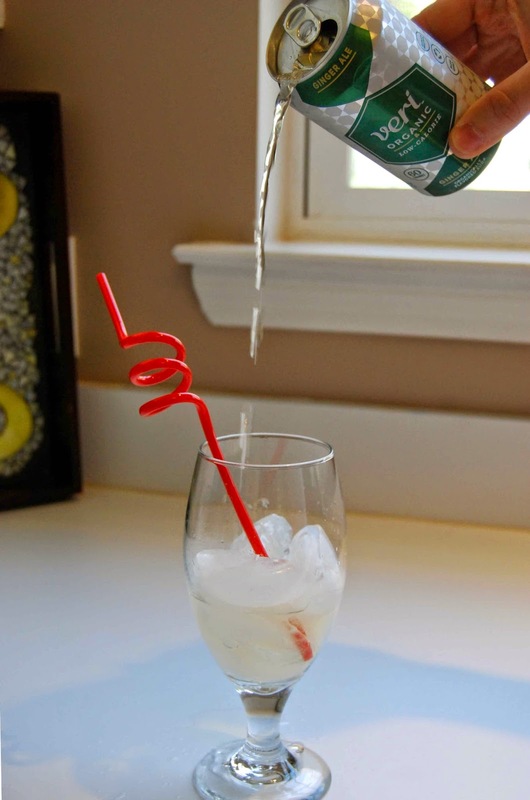 This was the perfect way to try out Veri Soda! Grease and flour (I just use a bit of cocoa powder to flour, since it's a chocolate cake) a 9" diameter cake pan (or, square). Mix together the flour and sugar. In a saucepan, combine the Veri Soda, cocoa powder, marshmallows and butter. Bring to a boil, then remove from the heat and whisk in the flour mixture. "Whisk it- whisk it good!" In a separate bowl, whisk together the egg, milk, baking soda and vanilla. Then, mix together with the Veri Soda mixture. To make the frosting, bring the butter, Veri Soda and cocoa powder to boil over medium heat. Stir in powdered sugar and mix well. Pour over the cake while both the cake and frosting are still warm. Let cool before cutting and serving. 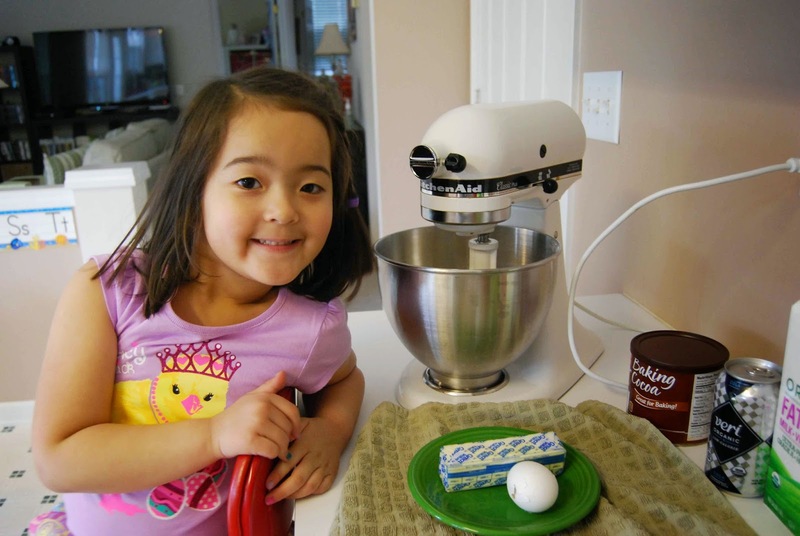 Lil' Miss got in on the baking action and was an eager helper. Of course, she was my official "taste tester" and she gave our Veri Soda Cola Cake a big thumbs up! 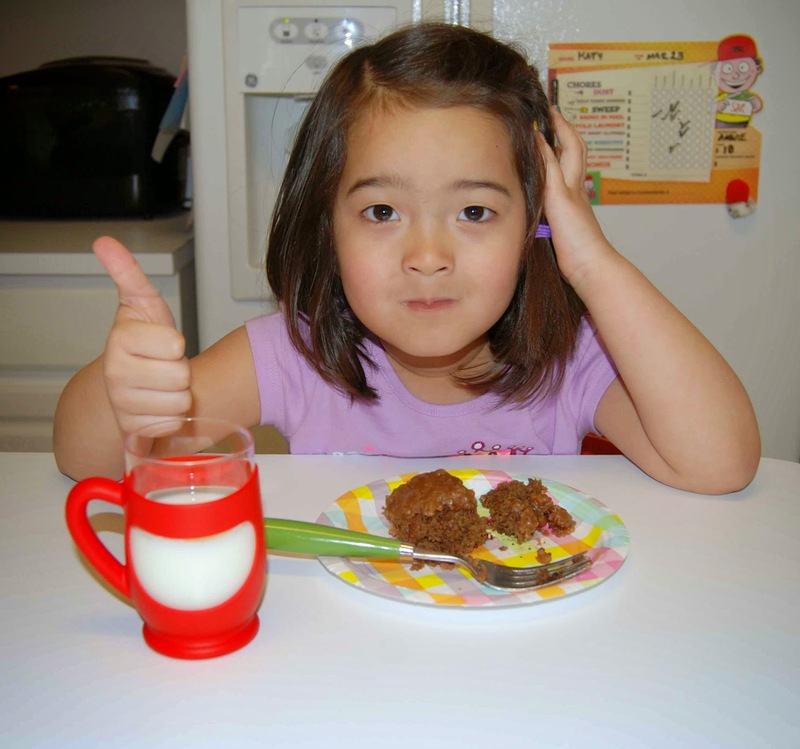 Veri Soda Cola Cake gets a big thumbs up from Lil' Miss!